What is "in" and "out" for 2008? Well I can tell you this, I consistently hear from my Bay Area home buyers that they hate generic remodels. Home buyers in the Oakland and Berkeley area love original details, solid construction and tasteful updates. 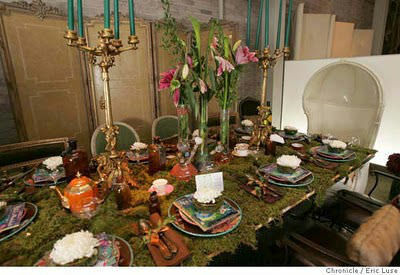 The San Francisco Chronicle had a great article about home trends for 2008. Personally, I think it is unwise to decorate your home with trends, but rather with function, personal taste, and within the era of your house. What is sexier than a clutter-free home with a place for everything? I love an eclectic mix of treasures from your travels, sleek energy efficient appliances and warm colors. Designers say that 2008 will be a busy year for interior design, as homeowners want to enhance their properties since they are staying in their homes longer. According to the article "green" remodels are in, and sleek poured concrete kitchens and bathrooms are out. Click here to read entire article regarding design trends for the Bay Area.